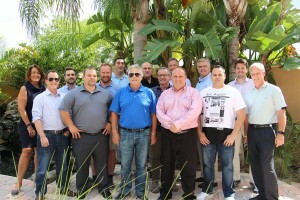 As part of our effort to fulfill our company mission, increase product efficiency, and fight to reduce theft, our VPG international and domestic sales teams get together every year to build on our best practices. This week, our entire team joined us for the 2016 VPG Sales and Marketing Conference in Oldsmar, FL. The conference served as an opportunity for our teams around the world to examine strategy, discuss advancement, and share personal development opportunities. The teams will meet again at the end of the year to evaluate the headway that was made. In the meantime, they are excited to present their VPG company culture while in the office and out in the field. Inspired by the culture here at VPG? Find out what makes this a great place to work.